We had or secret santa in work yesterday. When I buy stuff, I try really hard to find out what the person likes and dislikes so I can buy something worthwhile. I think I did that ok.
Usually, as the only male teacher in the school, I get something forgettable, something stereotypically male or general. This year I was really amazed. 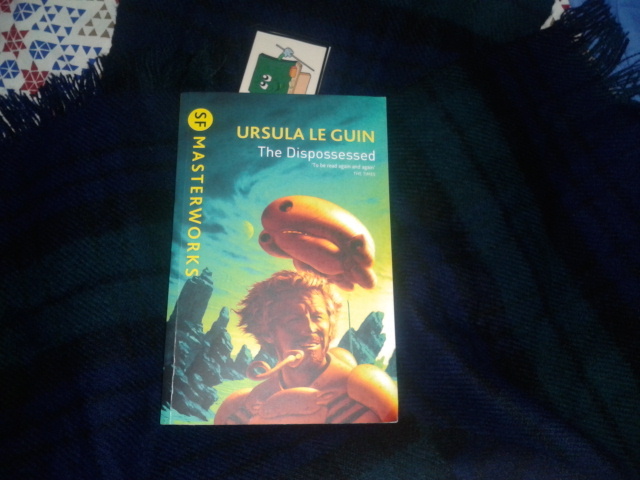 I got a book and a tartan scarf. The tartan is close to Scott tartan and the book is one I had borrowed from a friend and not yet started. I dont know how this was done because my work life and personal life are so separate. But anyway, thanks Secret Santa for being so thoughtful!